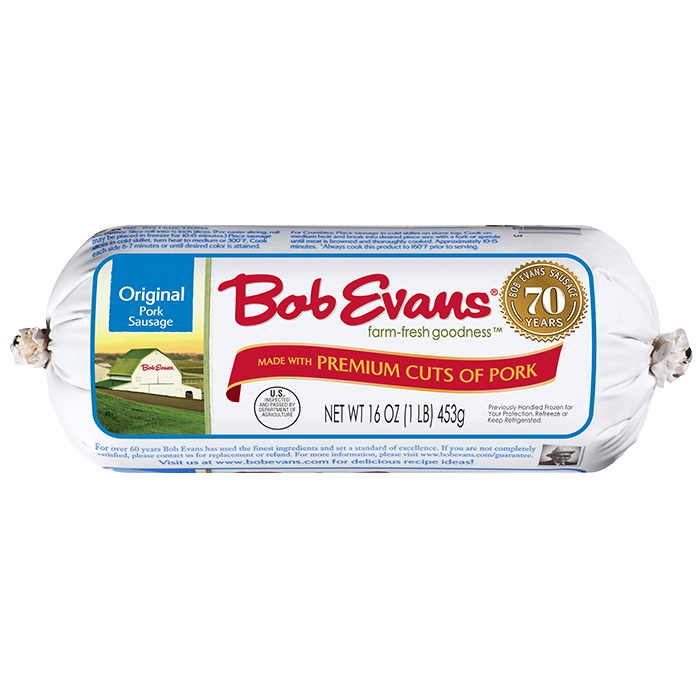 With our Original Roll Sausage, this stuff recipe is delicious enough for Thanksgiving, but easy enough for any day of the week. In a large skillet over medium heat, crumble sausage. Add onion and celery and cook, stirring occasionally until sausage is brown. 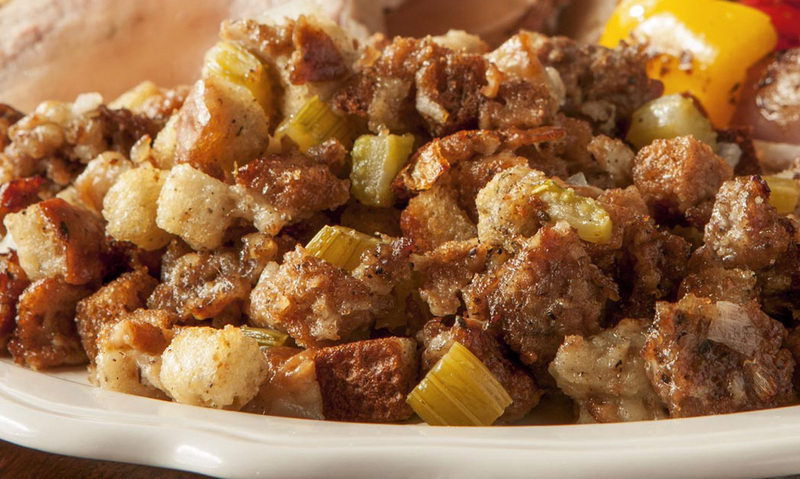 In a large bowl, place cubed stuffing. Add sausage mixture. Sprinkle with poultry seasoning. Pour broth and butter over the top and toss to combine. Spoon mixture into a 9 x 13 inch baking dish; cover. 1 In a large skillet over medium heat, crumble sausage. 2 Add onion and celery and cook, stirring occasionally until sausage is brown. 3 In a large bowl, place cubed stuffing. Add sausage mixture. Sprinkle with poultry seasoning. 4 Pour broth and butter over the top and toss to combine. 5 Spoon mixture into a 9 x 13 inch baking dish; cover. 6 Bake at 350F for 45 minutes.